You want to be the person who saves your company money by making clever decisions that stretch dollars to address multiple goals at once. To do this, select safety software that can serve double duty, helping in other facets of your business. You’ll help y our company’s bottom line and win your colleagues’ favor. Your safety software can be used in your training management efforts to help your employees and advance their careers. Assign your employees to new training sessions and track their progress in those programs. Send company-wide updates regarding the training program, as needed. Then keep records of what training sessions your employees have completed — keeping you organized for talent development and showing you the knowledge and skill-set gaps that may be relevant for talent acquisition. It’s a universal dread to find out your business is being audited by a government agency or industry-specific inspector. But your safety software gives you a tool to prepare and quickly show the files these evaluators want to see. Store regulatory compliance records regarding machinery, technology and employees. Keep documents about company policies and procedures to ensure compliance in all areas of your business. Your safety software’s mobile functionality makes it easy to obtain these files from any site or in real time. In the same way you don’t want to throw away money, you also don’t want to waste time. The calendar functionality of your safety software can be used for all sorts of tasks and linked to other programs. Schedule projects for your employees, whether they’re located on a single site or out in the field. Set up interviews with potential employees. Your safety software will help you and your team manage time efficiently. If a negative situation develops within your business, you want to keep clear records, stay organized and do everything you can to prevent repeat or worse offenses. Store customer complaints, injury documentation and disciplinary records. 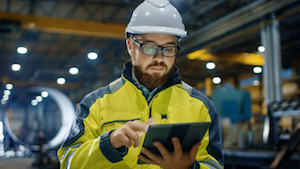 Using your safety management system for incident management will help you stay organized to prove you’re doing all you can to minimize and end negative trends in your operations. We’ve put together an eBook that explains how BasicSafe software delivers value throughout your business. Be the savvy leader who maximizes company resources by investing effectively, not the wasteful one who tosses money at an endless number of software subscriptions, hardly utilizing any of it.